The Union Home Minister Shri Rajnath Singh has called for specialization in policing to provide world class services to the people. Addressing the Indian Police Service (IPS) probationers of 2017 batch here today, he said that law enforcement agencies should stress upon the need to give special training to police officers as per their area of interest to enhance professional skills and capabilities. 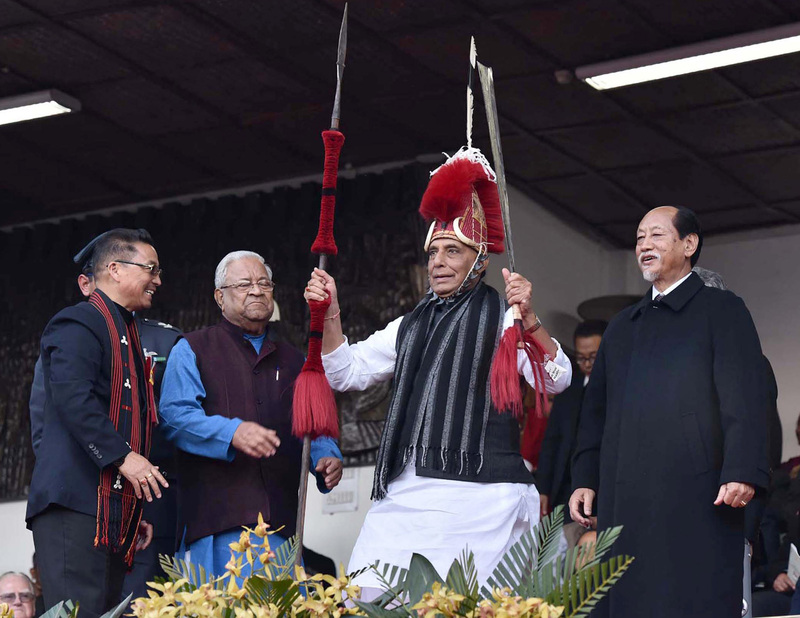 Exhorting the young police officers to adapt themselves to the rapid changes in technology and the threats posed by cybercrimes, the Union Home Minister said there are several challenges facing the country. Emerging law and order challenges such as hitech crimes, terrorism, LWE are of diverse nature, which calls for quick and decisive response and require expertise. 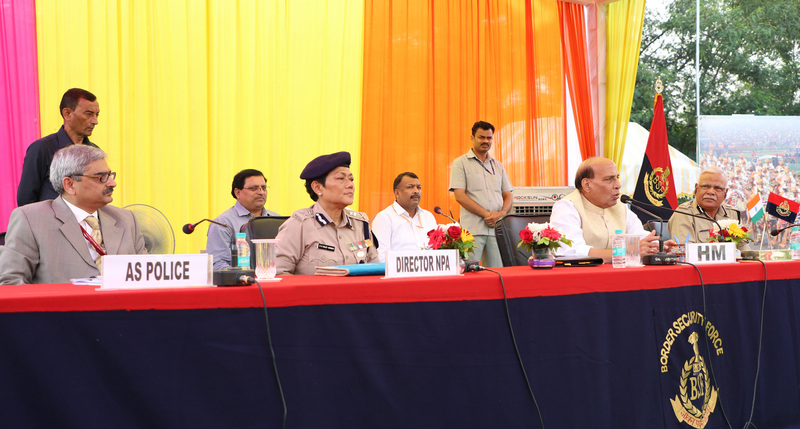 The Union Home Minister, Shri Rajnath Singh addressing the probationers of the Indian Police Service (IPS 2017 batch), in New Delhi on October 09, 2018. The Additional Secretary ( Police), Shri P.K. Srivastava, the DG, BSF, Shri Rajni Kant Mishra and the Director, Sardar Vallabhbhai Patel National Police Academy, Smt. D.R. Doley Barman are also seen. Speaking about the grassroots policing, Union Home Minister said that constant communication and interaction with general public with a human touch is the basic need for performing government duties specially the policing duties. He said that constant flow of information between public and government officials is the key to understand and solve the problems of public. Later, interacting with the IPS Probationers, Home Minister suggested ways how to bust stress while doing duty. He said practicing yoga is the best way to reduce stress. He also said that good health is good for out-of-the-box thinking as new ideas from young officers are of great help for good policing. The Additional Secretary (Police), Shri P. K Srivastava, DG, BSF, Shri Rajni Kant Mishra and Director, Sardar Vallabhbhai Patel National Police Academy, Smt. D.R. Doley Barman and senior BSF officers were present on the occasion.